Specialist and Head of Online Sales Katherine Lukacher explores Sandback's incorporeal minimalism. Fred Sandback was intent on embracing space as that element between form and mass. 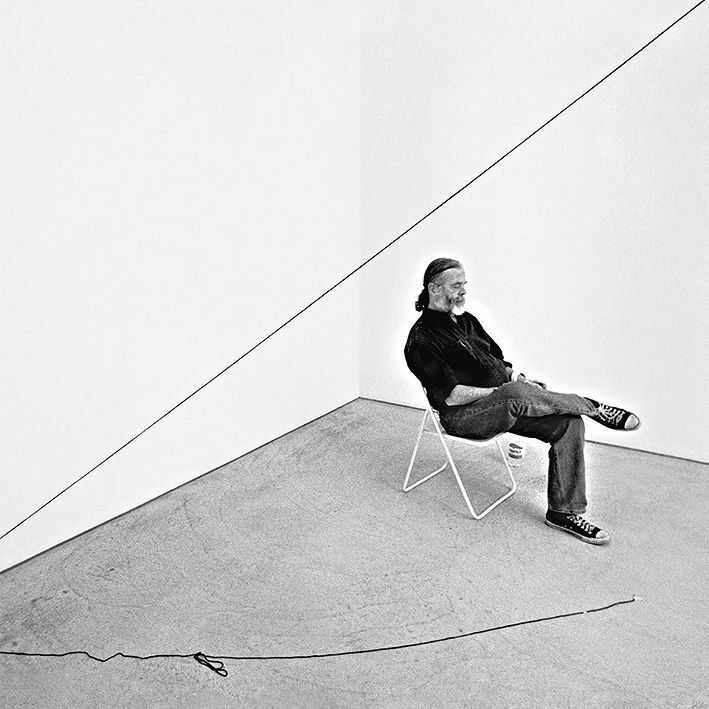 Expressing the idea that “space is made,” Sandback continued with the artistic pursuit begun by his minimalist predecessors such as Carl Andre and Donald Judd. Sandback believed that tactile surfaces and sensual solid forms aim to seduce the viewer, and therefore eradicated any perception of the space in which the sculpture resides. In doing so, Sandback was able to fuse form and space and therefore equalize what once was considered to be the inside and the outside of sculpture. 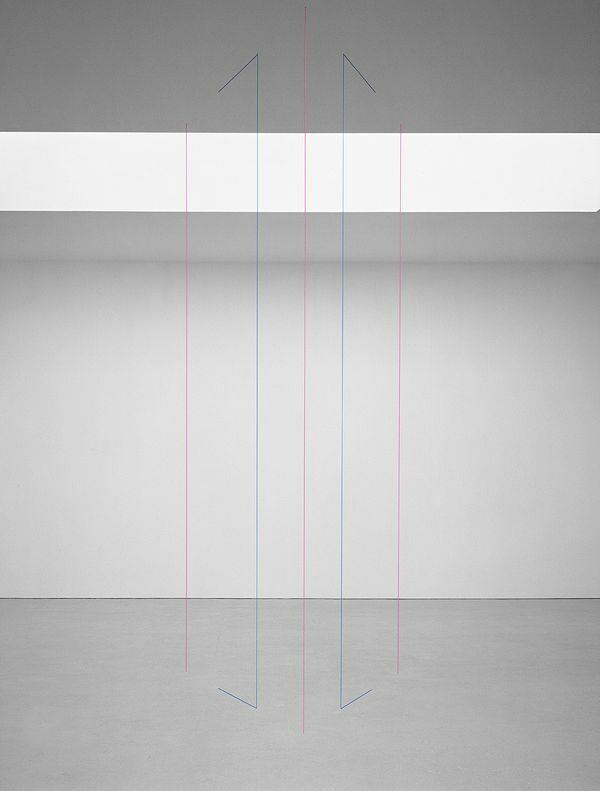 By isolating the boundaries of his forms with precise, pinpoint lines, Fred Sandback forces the viewer to acknowledge the space they inhabit. The incorporeal sculptures have no form without a space to cut through; within each installation the dimensions vary and the light conditions change. Utilizing only color and line, Sandback has re-defined the boundaries of sculpture and the illusion of space. Doors, picture windows and casement windows are implied, as if some elemental perspective system is being invented anew. By extracting the presence of material substance, Sandback allows the space his sculptures inhabit to become a temporal embodiment of its own provisional illusionism. The clear and definite instructions for the installation of his work become an essential component to his practice, allowing his sculptures to live a full life without the limits imposed by site-specificity. Untitled (Sculptural Study, Five-Part Vertical Construction) simultaneously delineates and merges into its environment. In this way, the work and its relation to place and the conditions of beholding are constantly expanding. As the artist has commented, “if I take this sculpture and if I put it in your house, with the same dimensions, firstly there is a different situation, it’s your house, it’s that moment there, the time of year will be different, the audience will be different. . . ."